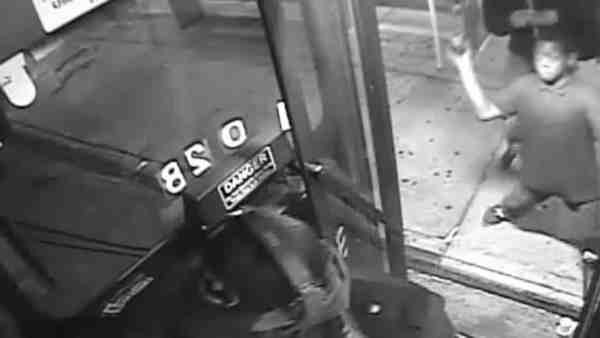 BRONX, New York (WABC) -- A boy wanted in connection with an attack on an MTA bus driver last year was brought to the police station by his mother Wednesday. The incident happened around 9 p.m. on October 20 at the corner of Home Street and Prospect Avenue, when detectives say the suspect went up to MTA bus #267 and threw a glass bottle at the driver. The victim suffered a minor eye injury and was taken to Jacobi Hospital, where he was treated and released. Authorities say the 12-year-old boy was brought into the 42nd Precinct by his mother, who had seen the video and recognized her son. He is charged with second-degree attempted assault and was released into the custody of his mother with a return date.